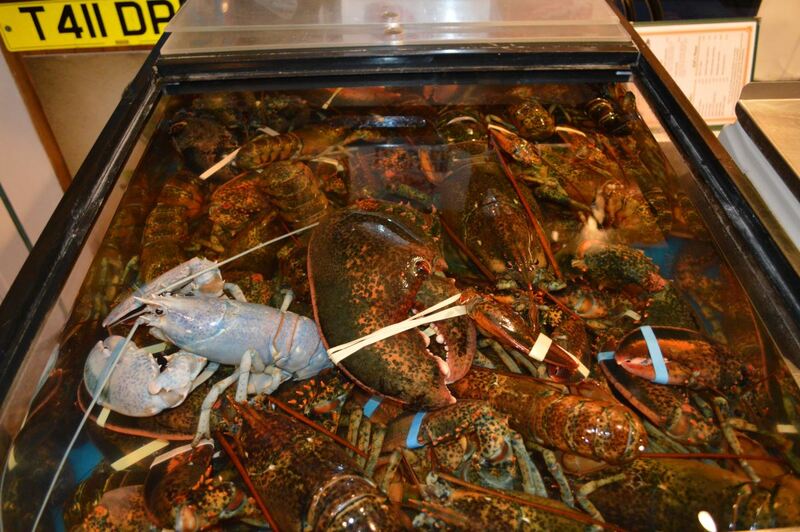 Our blue lobster was caught off West Point Lighthouse, in Western PEI in the fall of 2002. 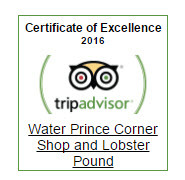 He was kept in the chilled water of the Water-Prince Lobster Pound for a number of weeks. He was quite the conversation piece and had his picture taken thousands of times. He has been preserved and mounted for display on a wall in our dining room in 2003. Say “hello” to him next time you are in. 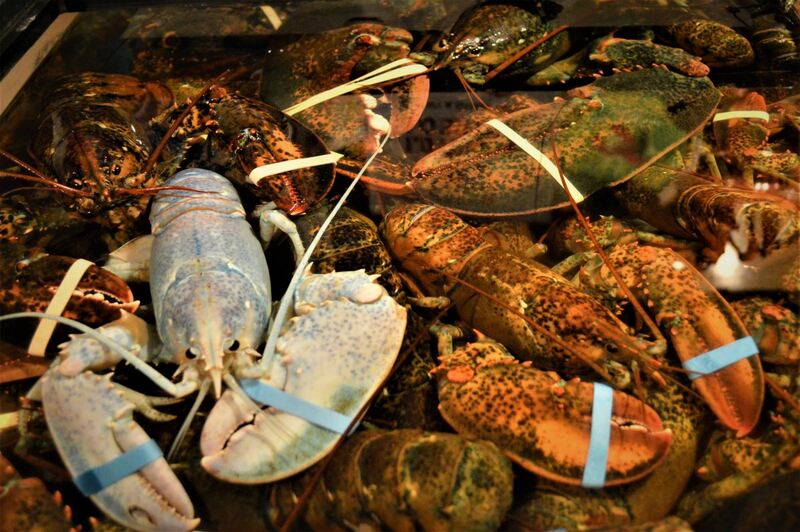 Scientists are not in agreement about the frequency of blue lobsters. The best estimate appears to be one in 10 million. Albino, or pure white lobsters, are even more rare. 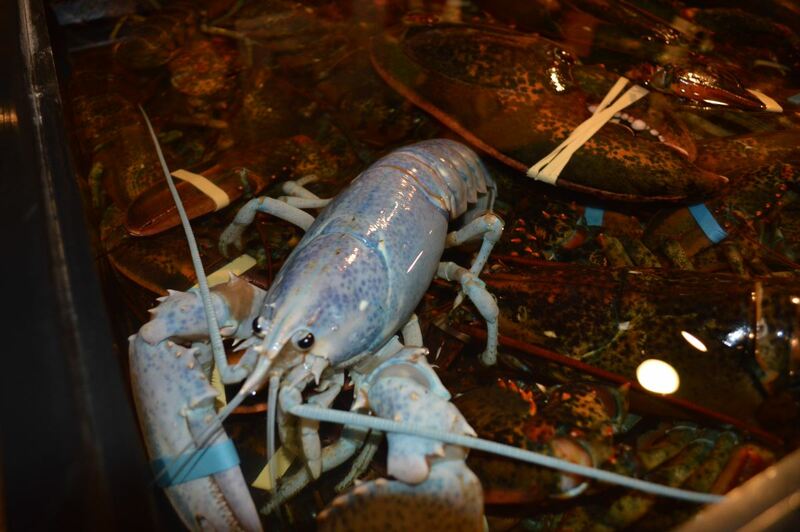 Blue lobsters occur because of genetic abnormalities. The color of a normal lobster results from a combination of blue, red and yellow pigments in the shell. A blue lobster lacks all but the blue pigments, hence, his unusual colour. Blue lobsters tend to be more agressive than their normally coloured counterparts probably because they are more poorly camouflaged and, therefore, had to fight harder to survive.